I have only tried the Glade Expressions Fragrance Mist once so far – I didn’t find it anything special but maybe I need to give it more of a chance. I was trying the Pineapple one – it just seemed like the scent disappeared almost right away. 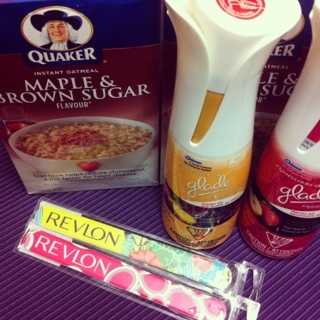 This entry was posted in free, free product coupon, walmart and tagged free, free product coupon, freebie, walmart on May 23, 2012 by Courtnie.